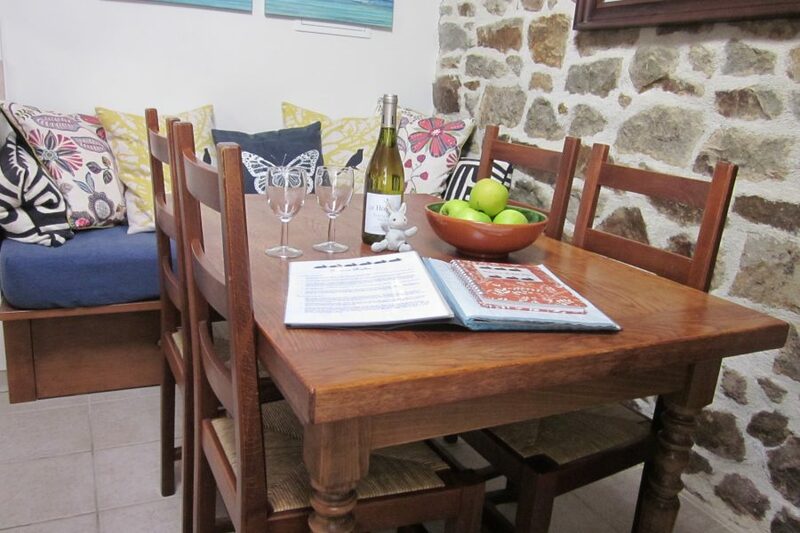 'Le Petit Lapin' is a private 'boutique' cottage next to my farmhouse in the small Breton village of Sains. Its exposed beams and stone walls reveal its rural character, but it has all the modern amenities as well as its own large terrace. 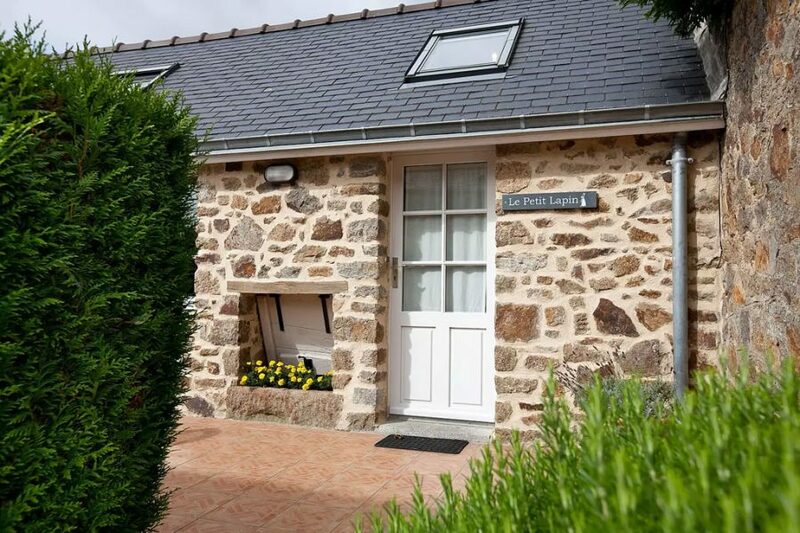 On the Brittany-Normandy border, 'Le Petit Lapin' is a traditional Breton cottage located on top of a hill in the small village of Sains, nine kilometres from the famous medieval site of Mont Saint Michel. Usually renting by the week in high season (3 nights minimum) and by the night (2 nights minimum) the rest of the year, this small self-catering holiday cottage sleeping 2-4 people has a lovely view from the orchard over the Couesnon Valley to the south. The lively market town of Pontorson, the gateway to Mont Saint Michel, is six kilometres to the east in Normandy, while Dol de Bretagne, with its ancient cathedral, is eight kilometres to the west in Brittany. Dol additionally boasts several fine restaurants and a public indoor swimming pool. Sandy beaches are a thirty-minute drive from the house, as is dramatic cliff-walking near Cancale, a town famed for its oysters. Saint Malo, with its old walled town and a large aquarium, is also a thirty-minute drive, as is the beautiful medieval town of Dinan and the seaside town of Dinard. Rennes, the capital of Brittany, is a hour away and has a fabulous Saturday market, but there are plenty of colourful local markets throughout the week in Dol (Saturday), Saint James (Monday) and Pontorson (Wednesday) as well as a small market twice a week in the nearby village of Pleine Fougeres (on Tuesdays and Fridays). Pleine Fougeres also has a large supermarket. Please note that the minimum stay is 2 nights most of the year and 3 nights in the summer, and while I prefer week-long bookings in July and August-- due to the region's popularity-- I am happy to make exceptions if there is availability. Monthly rentals are normally only available November through March. I live next door to the cottage and am usually at home to help if you need advice or have any questions at all, but you'll be completely independent and private in your own 'home from home' and can come and go as you please! New: A modern table and four comfortable chairs for the terrace and fashionable chaises longues for the orchard; freshly painted walls throughout the interior of the cottage; a proper low double bed on the mezzanine; a shiny stainless steel gas stove top; a fuel-efficient refrigerator... and a Nespresso machine for delicious coffee. 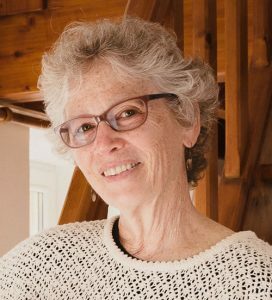 I'm a writer and a retired university professor of English now living in Brittany, a very beautiful part of France. My little cottage is beside my large granite farm house and I am happy to welcome visitors here from all over the world.